Farewell, Finland! I’m starting this post as we’re getting everything together to leave our apartment in Finland to fly on to our final destination for this trip – Stockholm, Sweden. 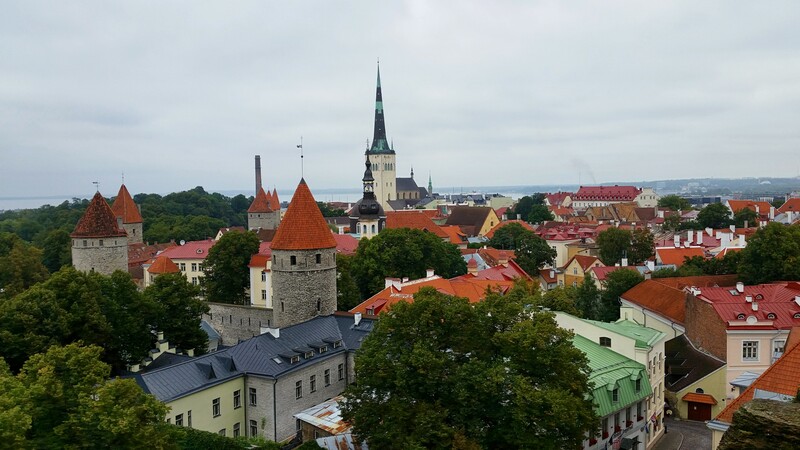 I know I won’t finish before we leave, but I just have to tell you about yesterday’s sidestep from Finland to Estonia so we could visit Tallinn. What a great decision it was to visit! As you’ve surely read in my blog before, I always appreciate a good day trip, especially one that allows me to see something unique. 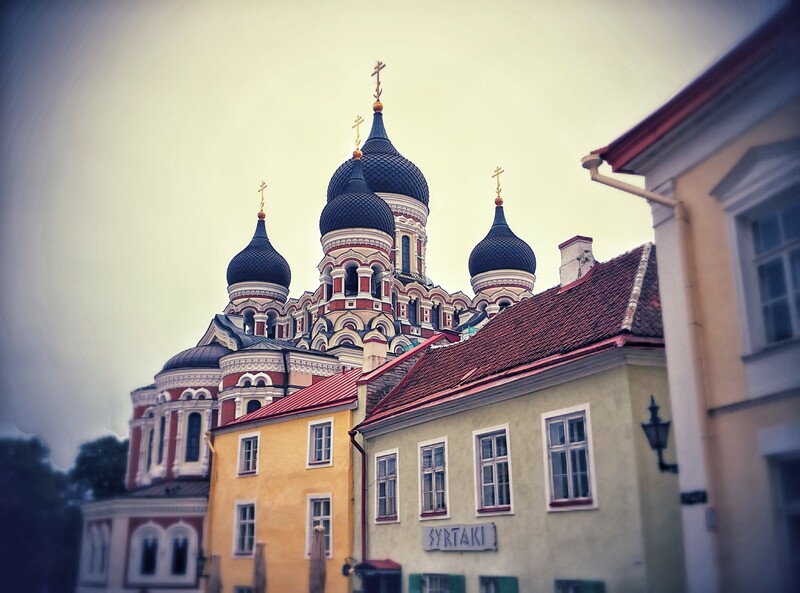 I’m an even bigger fan of sneaking in quick trips to other countries if it makes logical sense in my itinerary and the trip from Helsinki to Tallinn definitely makes sense! 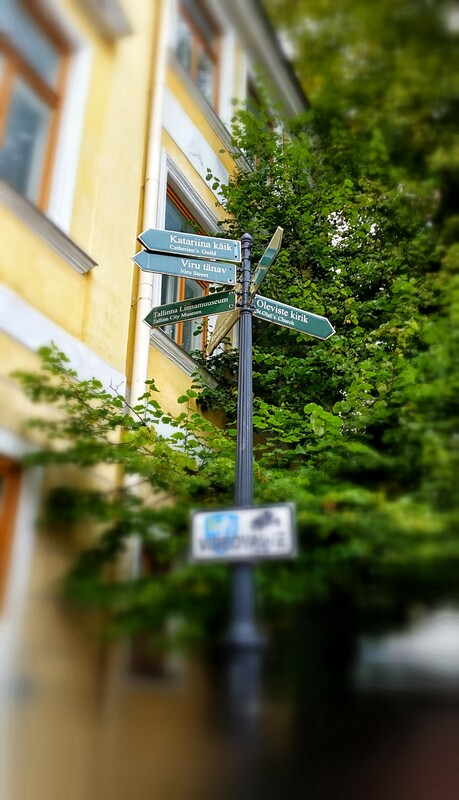 You can reach it via ferry in just over 1.5 hours, which means it’s totally doable to go there in the morning and come back in the late afternoon/early evening (of course, you could also stay overnight or even move on to Tallinn as your next destination if you wanted to). 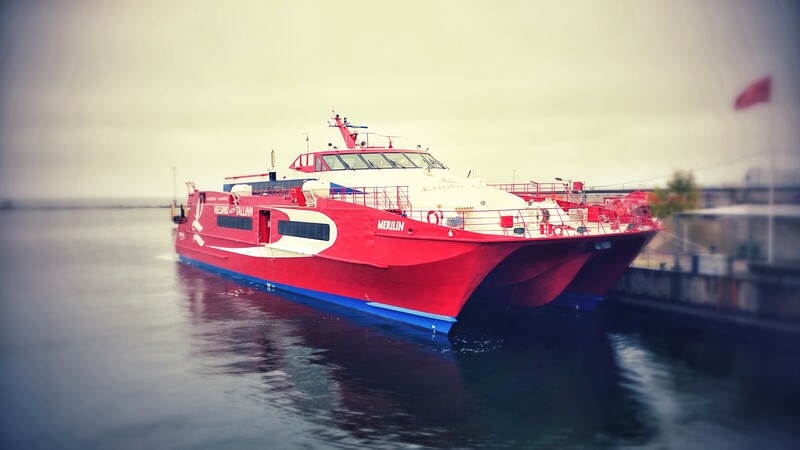 In doing some research, I found there are a few ferry options running between the two countries, but we settled on Linda Line as they were the most economical (read – cheapest) as well as the fastest. The other options seem to be larger cruise ships (not as big as, say, a Carnival cruise ship, but definitely far larger than Linda Line’s ferries), which I’m sure are great, but there’s more waiting involved (bigger ships mean more people, more lines, more process, etc.) and they also take longer (about 2.5 hours instead of just over 1.5 hours). That, combined with the fact that Linda Line seemed to offer more ferries each day, made them the clear winner for us. Cost-wise, it cost ~$110 for two round-trip ferry tickets on Linda Line, which I think is very reasonable. I do want to call out that my research did reveal some negative feedback about how Linda Line is the first to cancel their service in the event of inclement weather. In fact, when we stopped by the ticket office to ask a question the night before our journey, I saw they had cancelled that night’s ferry due to rain. However, it was raining when our ferry left (not storming though) and we had no issues. Ditto for the return trip. So, we had no issues with them, but the feedback is something to keep in mind as you’re planning your own trip. 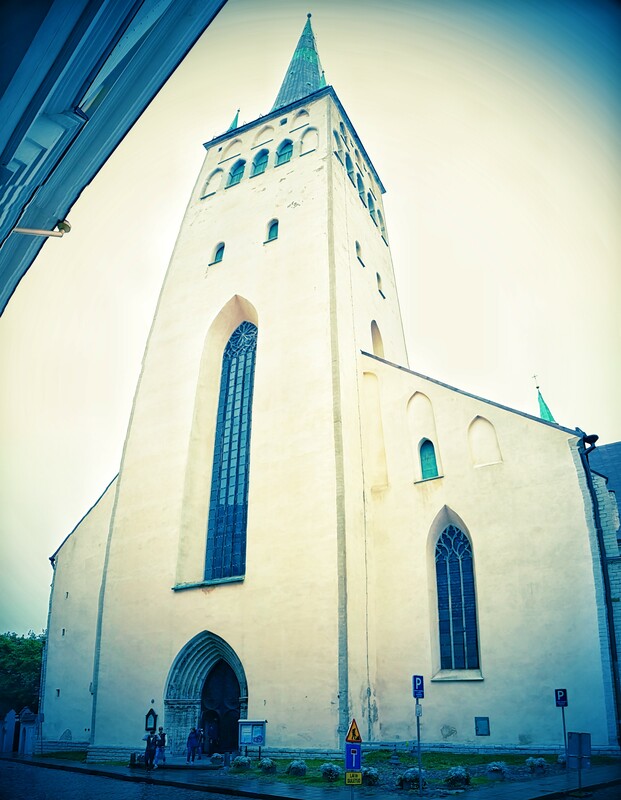 St. Olaf’s Church – we saw this beauty immediately upon entering the Old Town (about a 15-minute walk from the ferry). It’s a great old church with a big tower that was calling our names, so of course we had to go in. 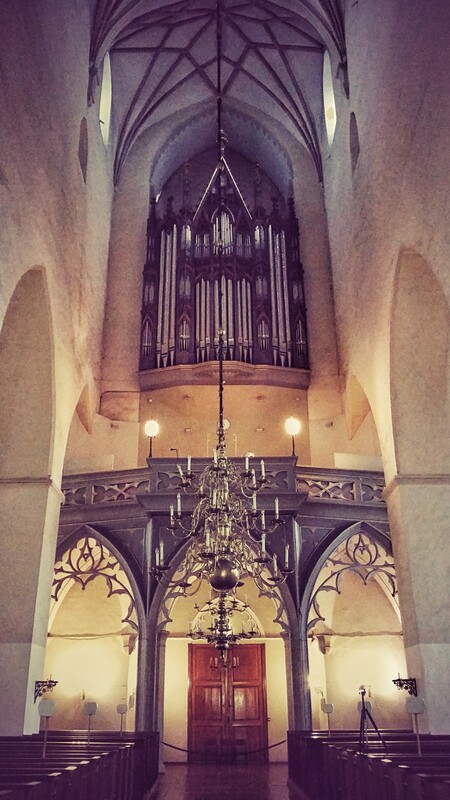 The church is free to tour and is certainly pretty, dating back to the 12th century. The tower is also pretty impressive, though we actually had to come back to climb it later in the day because we didn’t have any cash on us and you have to pay ~$2.50 USD to climb it. We decided we would find an ATM (which turned out to be easier said than done, but we did eventually find one) and come back later and I’m so glad we did! Well, to be fair, our brains and eyes were glad, but our legs most assuredly were NOT. It’s quite a climb to the top – around 260 steps, but the first 30 or are twice as tall as the rest, so it really felt more like about 300 steps. If you can do it though, huff and puff your way to the top because the views are amazing! It worked out better for us that we visited the church first and then came back for the tower later because that allowed the weather to improve and some of the clouds to burn off, giving us much better views than we would have had earlier. I highly recommend paying a visit! 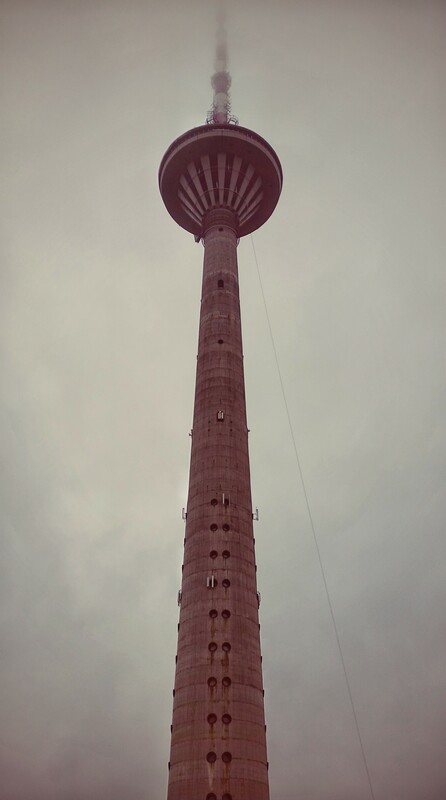 TV Tower – the weather unfortunately was not so cooperative for our next stop, the Tallinn TV Tower. Originally built in 1980 to allow parts of that year’s Olympics in Moscow to be broadcast (the regatta events were held in Tallinn), it now houses an observation deck and restaurant. Because we’d heard the lines can be long, we pre-booked a ticket for a specific time (which cost ~$13 USD, slightly more than the standard ~$9 entrance fee) to align with our ferry’s arrival. 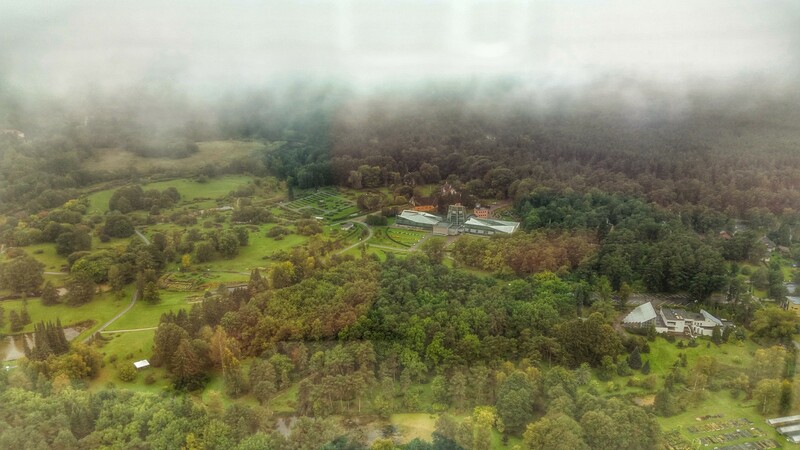 Although the rain had stopped, there were still some low-hanging clouds, which largely obstructed our view from the top. I did manage to get one decent picture (see below), so it wasn’t a total loss. And the other bonus was that there was literally no one else there! If we had waited until later in the day, I’m sure the view would have been better, but such is life. 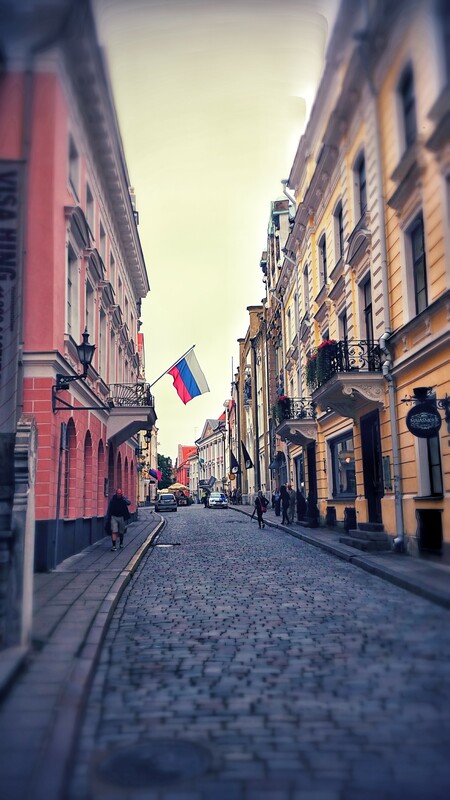 I would still recommend adding this to your Tallinn itinerary! Take note that it’s located several miles away from the Old Town, so you’ll need to either plan for a looooong walk or use a bus/taxi. 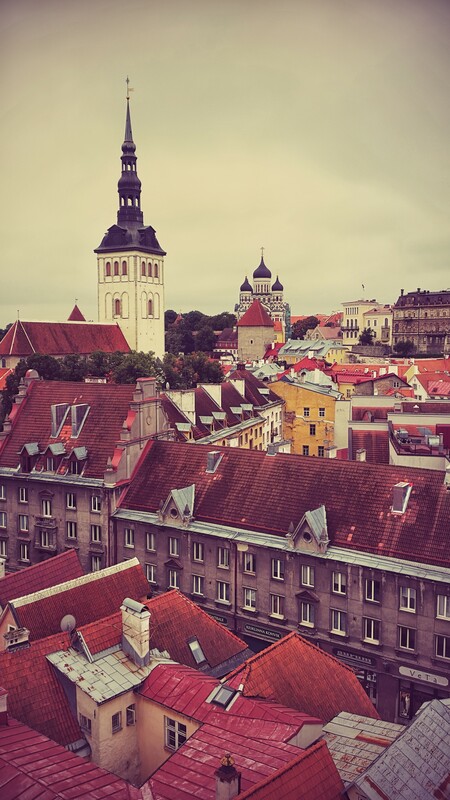 I fired up my Uber app and was delighted to find that they operate in Tallinn, so we used them to get there and back. We even had the same driver both times because she was kind enough to let us text her when we were done, since she knew there likely wouldn’t be many drivers around that part of town (there weren’t). Uber FTW! Lunch – once again, I find myself calling out a restaurant because it was just that good. We wanted to have a nicer lunch (something more than a sandwich), so we trawled the internet and found Leib Resto ja Aed. They care A LOT about their food and drink, so I highly encourage you to check out their website to learn more about who they are and their approach to food. Suffice it to say that our meal of oxtail (for me) and pike perch filet (for Scott) was pretty amazing. We also indulged on gin and tonics (I know – we’re crazy! ), which were very tasty and refreshing. I highly recommend this place! They weren’t crazy expensive – our nice lunch plus two drinks cost us ~$50 USD. 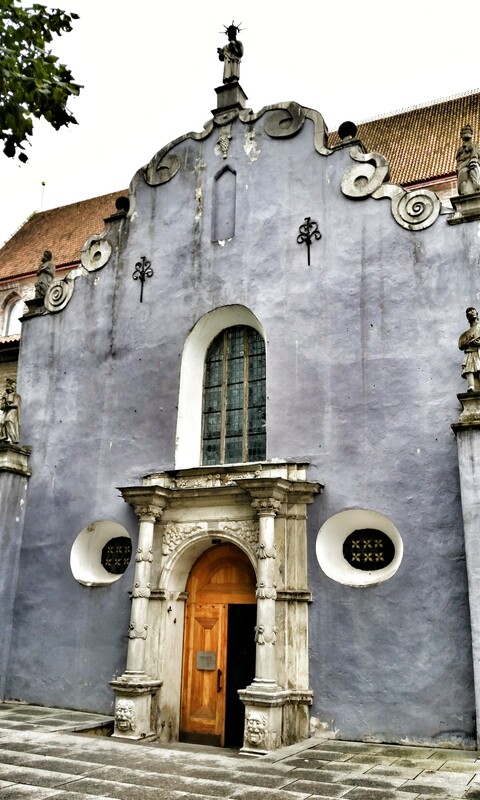 St. Nicholas’ Church – after wandering the Old Town for awhile, we found ourselves in another church. It was a slightly confusing process to figure out how to get into the building, but we eventually figured out we had to enter through the Niguliste Museum. I was thinking there was a way to just go into the church, but the whole thing is part of the museum, so you have to pay the entrance fee of ~$6 USD to get in. As churches go, there’s nothing particularly amazing about this one, but if religious art is your thing, you’ll definitely want to stop in. 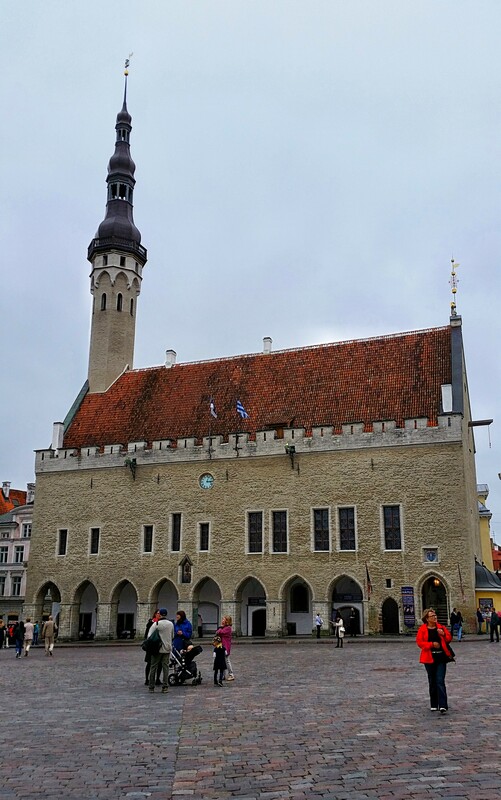 Although it dates back to the 13th century, it’s been extensively rebuilt over the years, especially after Tallinn was bombed by Russia in the mid-20th century. 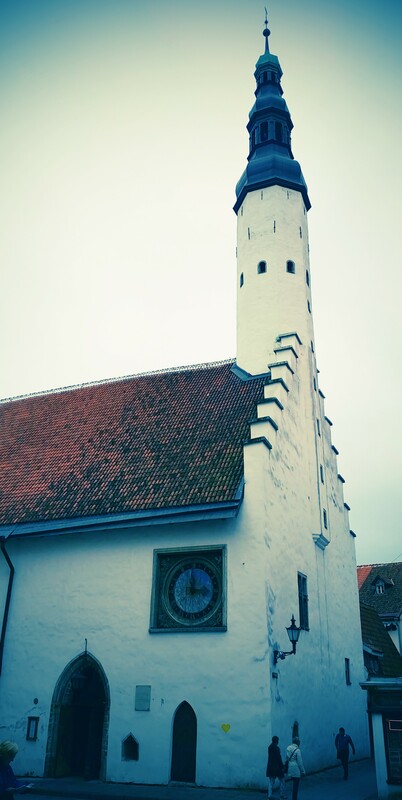 Town Hall Tower – we wrapped up our day (before heading back to St. Olaf’s for the tower) at another tower. The Town Hall Tower was built in the early 1400s and is topped with a weather vane called Old Thomas that’s said to be the town’s guardian. And of course, we had to climb this tower, too! There’s an entrance fee of ~$4 USD for this one, but again, the views are worth it. Likely because it’s mid-September and because the weather wasn’t especially great yesterday, we only passed two people on our way up and one other person came up to the top just as we were coming down, which is a good thing because the old spiral staircase in this tower gets pretty tight and there’s no good way to meter the up-and-down traffic, which all uses the same staircase. Again, the exemplary views totally make this worthwhile, so do it! As with nearly all towers though, if you’re at all claustrophobic, you’ll probably have some struggles with this. 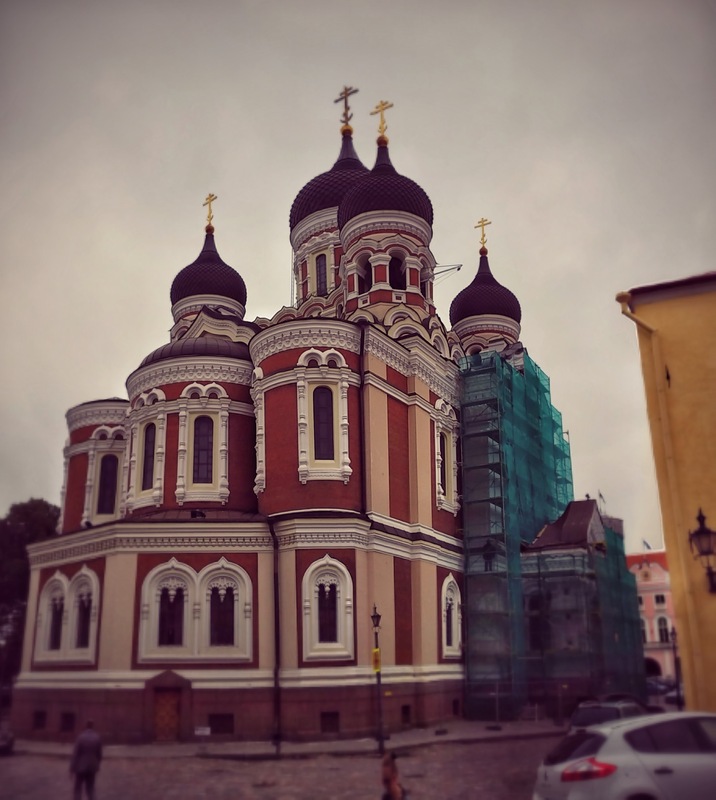 We did do a drive-by of St. Aleksander Nevsky’s Cathedral, which is an Eastern Orthodox church. Although part of it was covered by scaffolding (shocker, I know), it’s still a cool building to look at. We didn’t go in since we were running short on time, but at least give it a look-see! 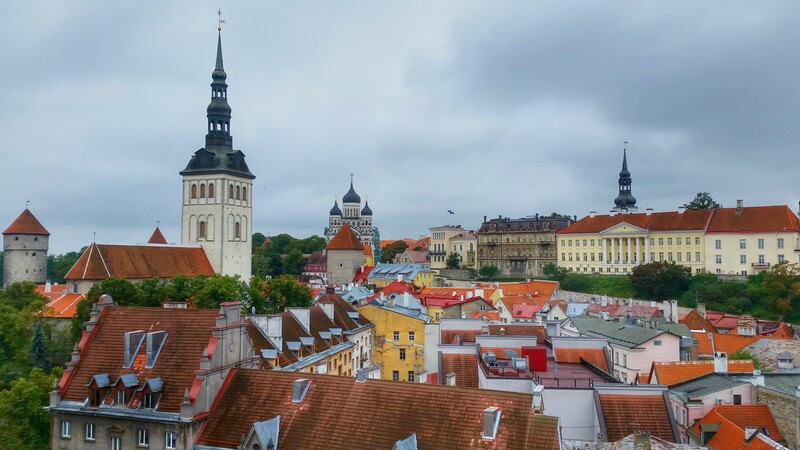 Also, be sure to make your way up to Toompea, which is another part of the Old Town on a big hill with a few great lookout points (right by Alexsander Nevsky). Totally worth the walk! I once again failed at scaling my picture selection back, but I figure they represent all the time we spent in a whole country, so that’s okay. Enjoy! Our transportation. The ride was smooth! About to enter the Old Town. The panorama makes St. Olaf’s look like the tower curves, but don’t worry – it doesn’t. 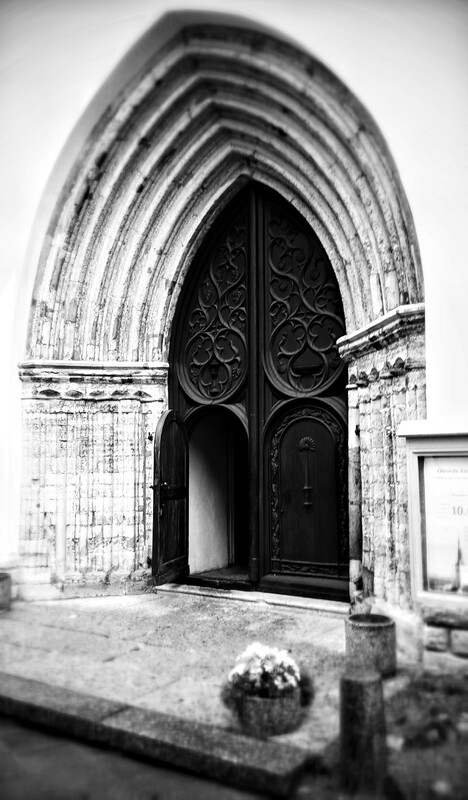 A dramatic take on the entrance to St. Olaf’s. 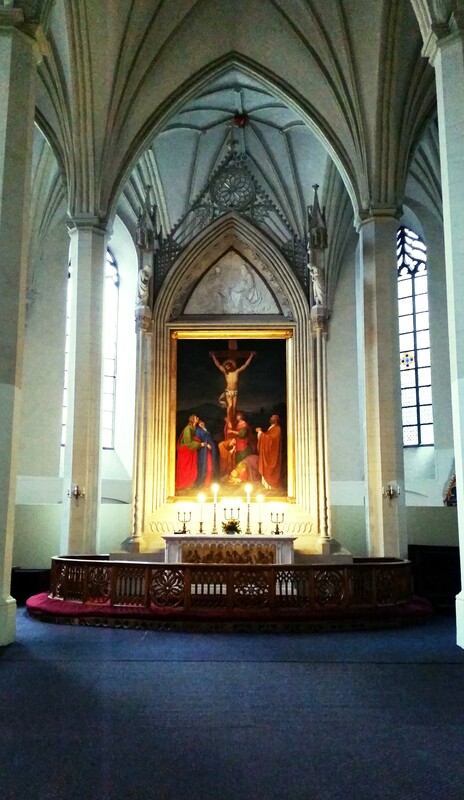 In front of St. Olaf’s altar. 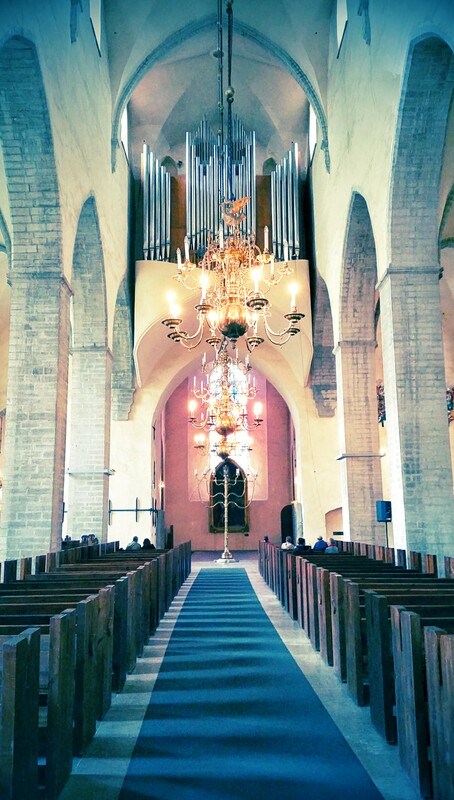 Facing away from the altar towards the back of the church and the organ. 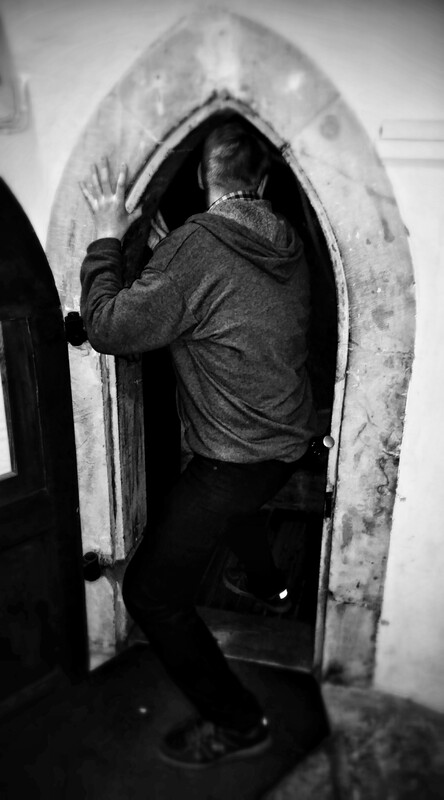 Even the entrance to St. Olaf’s tower is tight! Scott is 6’4″, but it’s tight even for people much shorter than that. Fantastic views from the top, though! 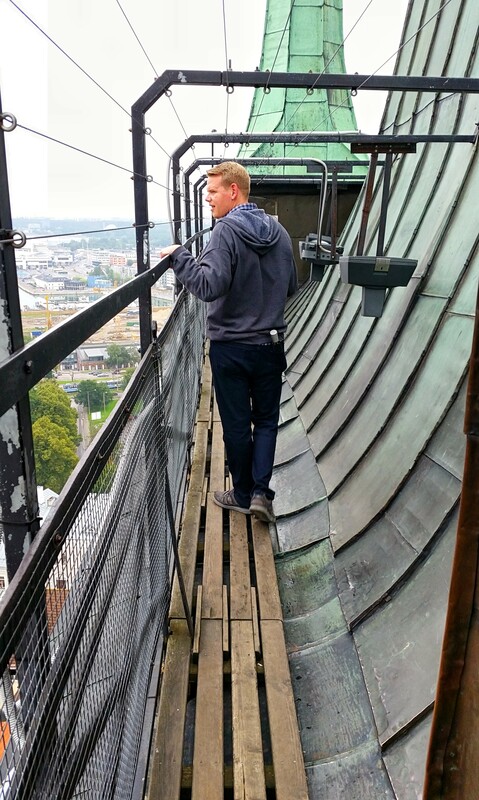 Scott gets another picture in this post to show the narrow walkway that you use to walk around the top of St. Olaf’s tower. The TV Tower looks cool with the clouds from the outside, but they unfortunately didn’t allow us to see much from the observation deck. I did get at least once decent picture through the glass. 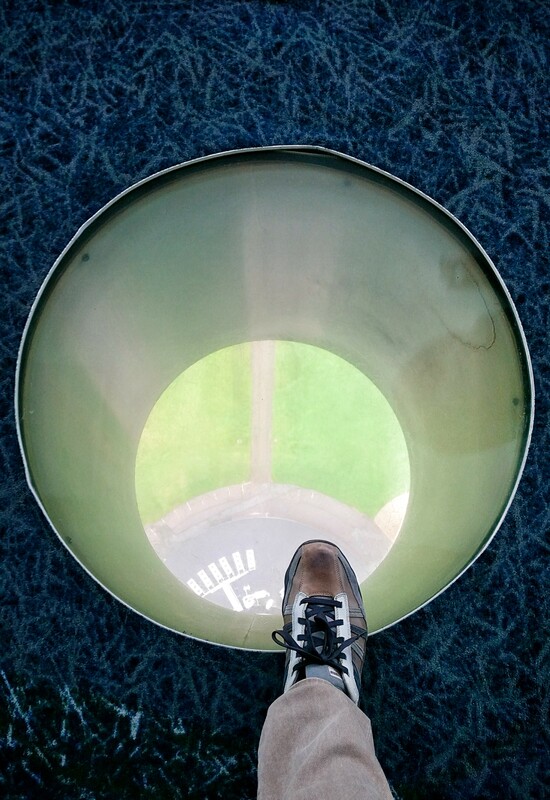 The observation deck also has these holes in the floor to give you a sense of how high up you are (over 150 meters). I spy with my little eye, something beginning with “directional sign”. 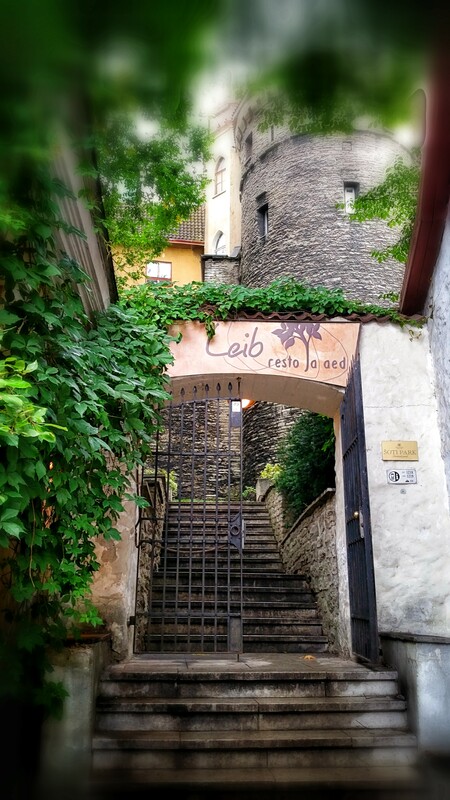 Looking up one of the picturesque streets in the Old Town. I forget what church this is as we didn’t go into it. Looks nice, though! The entrance to the Niguliste Museum and St. Nicholas’ Church. 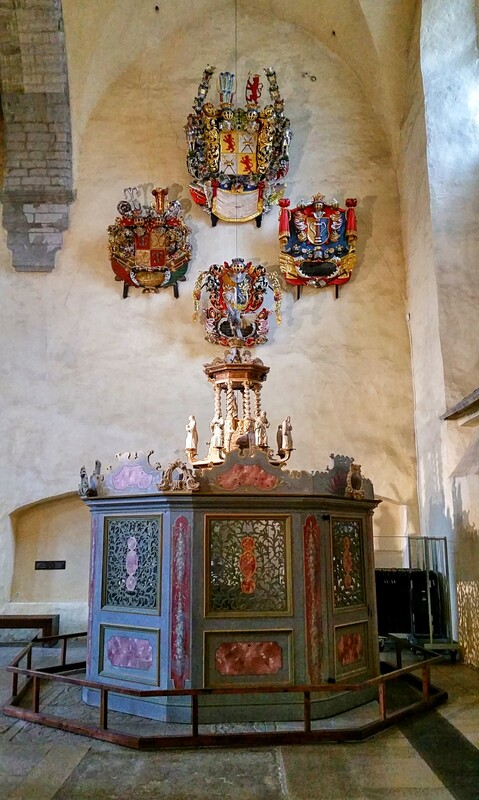 A baptistry and other items on display in St. Nicholas’. 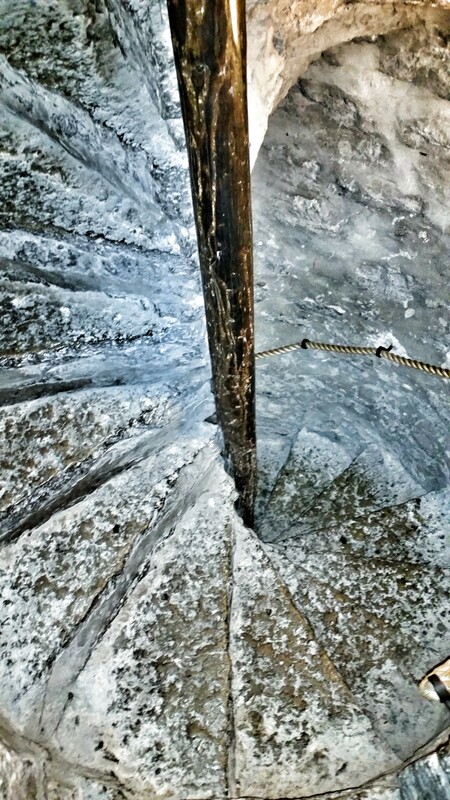 Yep, that’s definitely another tight staircase. 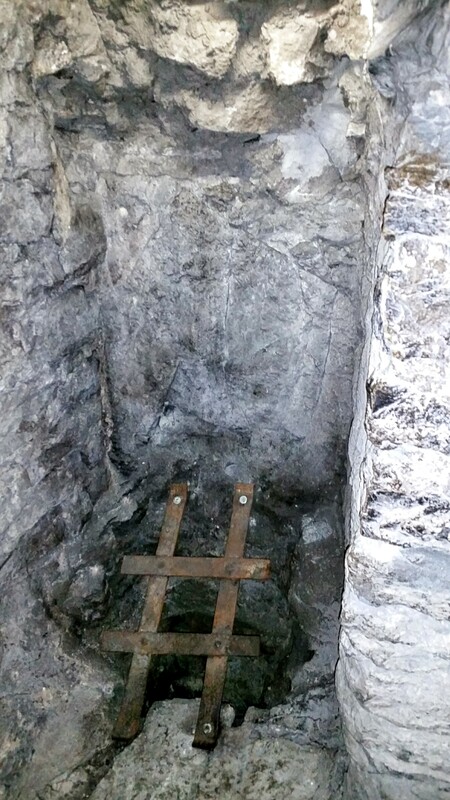 Another tower, another former toilet (this one was for the tower guards). 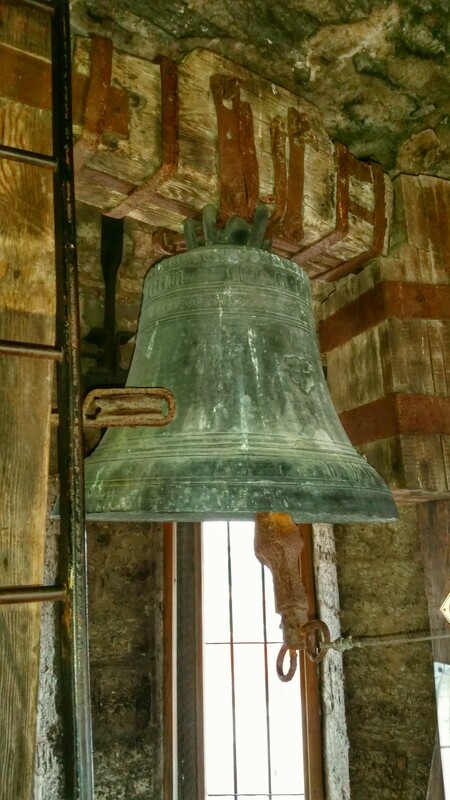 I imagine it would be pretty loud if you were visiting the tower and that bell went off. Thankfully, that didn’t happen to us. We did get some great views, though. Another shot of the view from the Town Hall Tower. To show scale once again, here’s Scott starting his descent from the top of the tower. Quick picture of St. Aleksander Nevsky’s Cathedral. 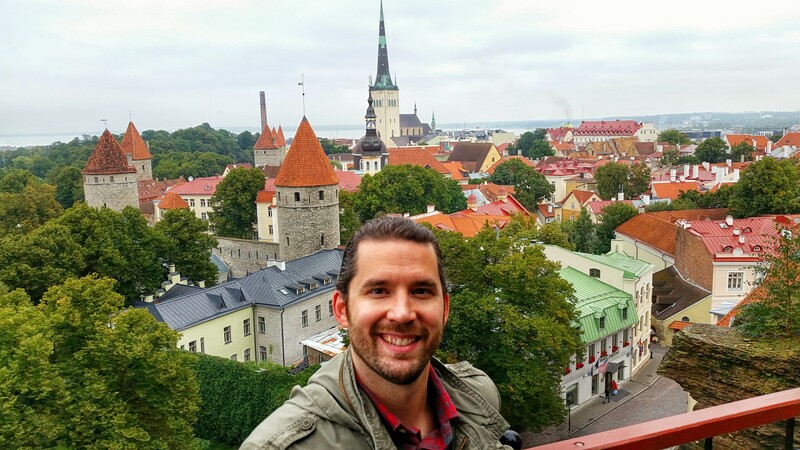 More great views, this time from one of Toompea’s lookout points. 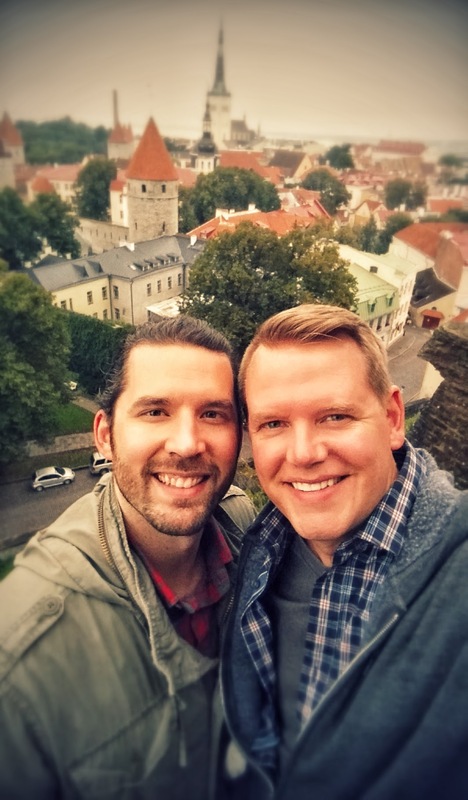 Our first (and only) Estonian selfie. And of course, a selfie featuring only yours truly. And one more picture of St. Aleksander Nevsky’s Cathedral peeking over the buildings. 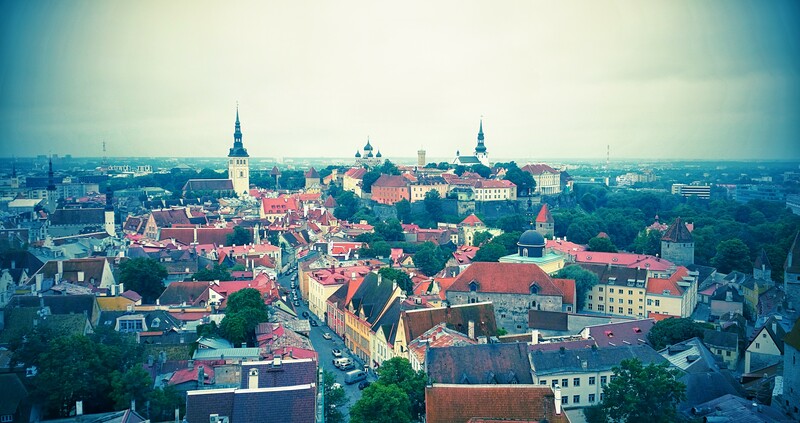 That was it for our time in Estonia! We definitely enjoyed it and felt like we had just the right amount of time there. Of course, we could have seen and done more, but not without staying overnight. 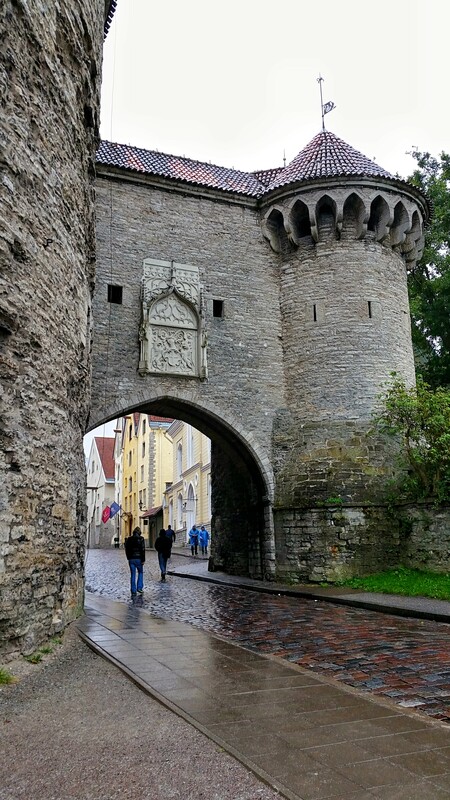 Whether you visit Tallinn as part of your itinerary or you zip over on a day trip like we did, it’s definitely worth your time as there aren’t that many well-preserved medieval towns left. One quick shout-out for our last dinner in Helsinki – Lucha Loco. This is a great little place with tasty food, though the menu isn’t particularly expansive. Try the guacamole – really tasty! Next up, Stockholm! We’re already here and have spent the afternoon exploring, so look for the first Stockholm post later today (hopefully).